Xconomy: The Reimbursed Personal Genome----Five Years Away? The Reimbursed Personal Genome—-Five Years Away? 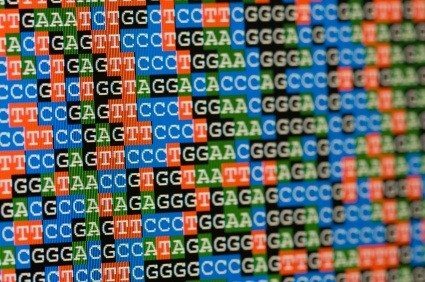 Genome sequencing will be a routine diagnostic test for patients at the new Institute for Precision Medicine in New York City, a joint project of the Weill Cornell Medical College and NewYork-Presbyterian Hospital. Doctors will be searching for new genetic clues about disease by taking an unbiased survey along the genome, rather than scanning only for genes already known to cause illness. Using next-generation sequencing equipment from San Diego-based Illumina, the researchers are aiming to find new treatment options for cancer, neurodegenerative disorders, and cardiovascular disease. But a companion goal is to persuade health insurers to reimburse for the cost of sequencing the genomes of individuals, says Mark Rubin, the director of the institute, which was founded this year. Rubin hopes, over time, to demonstrate to health plans the value of capturing a fuller picture of individual genetic factors, which may guide doctors to prescribe drugs they wouldn’t otherwise have considered. The Institute will use the Illumina sequencers to get a readout of what’s called the “exome.” This is an important subset of the genome containing all the genes that code for the manufacture of proteins—those workhorse biological molecules behind most of the operations of a living cell. Genetic screening technology is indeed advancing rapidly, and the cost of sequencing is dropping dramatically. But I don’t believe we are actually getting closer to anything like an empirical demonstration of the clinical value of whole genome sequencing. If anything, we are learning that the genetic underpinnings of cancer, and the consequent response to various therapeutic interventions, is more complex than we’d hoped. In many cases that takes us further away than ever from insurer reimbursement for genetic and proteomic tests. There is a tremendous amount of hard translational and clinical research that will need to be done to establish broad acceptance of the clinical utility of broad genetic testing, and getting to what is required within 5 years is vanishingly unlikely.. .
23andMe demonstrates clinical utility of broad genetic testing today. Personal genomes is the inevitable next step. Five years? I give it three.